Oh university, those three to four years of your life that feel like they are never going to end. Until the day comes that it does… And well, when it does finally end you realise that those years were not so bad after all! But what do you learn? Ancient theories and anti-plagiarism skills aside of course. Assuming you go to uni studying the subject of your interest, your horizon will be broadened and you will get a much clearer picture of what you would like to do professionally. Even if you are not that into your major, universities tend to have many events and connections that will lead you towards your desired path. Even if you just discover what you are interested in on a more personal level, by hanging out with like-minded people for example, you will discover what interests you in your spare time, which is of course very important as well! Throughout my years at uni I have met/heard lots of complaints by people that are, on a second thought, not that interested in what they are taught in lectures. Unfortunately this is something I have experienced firsthand as well, lucky for me I studied a very broad topic that still left many doors open. However I completely understand what it’s like to be frustrated and just really #done with uni. But don’t give up, and most importantly, do not feel like this is a waste of your time and money! Discovering what does not interest you means you get to tick things of the never ending list of possibilities. By narrowing down this list, you will eventually find what does interest you. Patience is a virtue my friend. Studying, networking and interning will definitely make you (re)consider taking a gap year before diving head-first into the professional world. 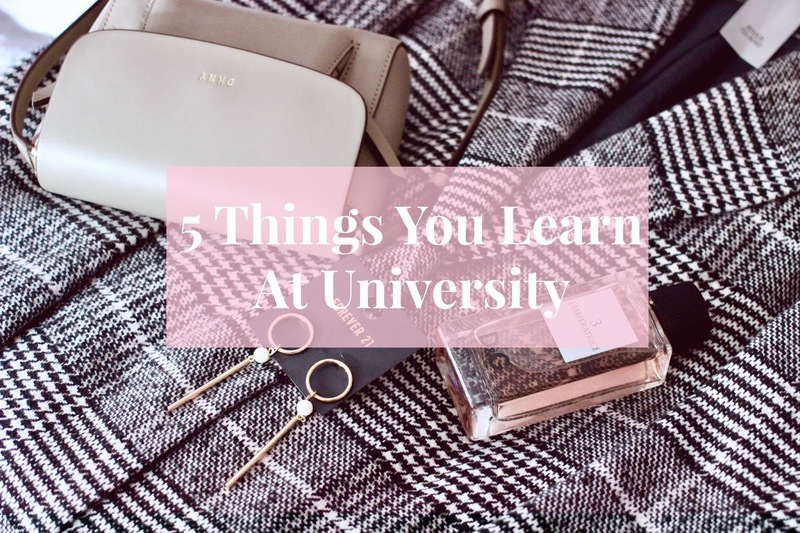 There is absolutely nothing wrong with wanting to start your career straight after uni, but many students tend to enjoy a little bit more freedom before committing to a life of responsibilities. I was one of those students, until a temporary job offer crossed my path. It is important to keep in mind that you are still young, so take time to travel and to figure out what it is that you want to do ‘later’. University is a place where you will make some of the greatest friends. I guess it differs per person, as the same thing is often said about high school, but for me personally, I was lucky enough to meet a group of such interesting and kind individuals that I am still in touch with regularly. However, it is not just the people we attend class with that you should consider your ‘university friends’. Alright, I just realised that what I am about to say will sound very confusing… But what I am trying to say is that university is a chapter in your life and the people that you meet during this time (even if they do not attend your uni) should also be considered when we refer to university friends. For me, it is more about the timeframe than the actual place if that makes any sense at all! Future, later, after graduation, three of the many phrases that will scare the sh*t out of you when you are at uni. For many students graduation means the end of an era, where they will leave the status of student behind for good. But how do you step out of a role that you have played for so long? One of the things you learn at uni is that everyone feels this way, at least, there is only a 10% of students* that have it all figured out and do not feel this anxiety. Take me as an example, I had it ‘all figured out’ (whatever that even refers to) before I graduated high school. I went to university confident that this would just be the last stop before landing my dream job. However, as the years passed, I became less and less certain of what I wanted to do after university. All because I found out I was interested in so many things. My ‘after’ plan changed about 10 times and now that we have reached the ‘after’ I am doing something completely different altogether. So, don’t worry. Just keep searching, try different things and don’t be afraid to say yes/no. I firmly believe that our choices determine our path, so it is important that you always support a choice that you have made. It is up to you to open/close another set of doors. Now, there is of course much more to say about these topics. For now I am keeping it brief, also because I literally just graduated. Perhaps, if you are interested in the ‘after’ or feeling lost/making decisions I could write more posts about the topic. Just let me know in the comments below if this is something you are struggling with, I am more than happy to share my experience if that will make yours better! *This is just my own observation, no research has been done on this statistic.